Carpet care doesn’t stop with an occasional professional carpet cleaning and a vacuum every once in a while. There are extra steps you can take if you want your carpets to last longer between professional cleanings. Carpets that have been well maintained lays a good foundation for professionals and maximizes the results. 1. Vacuum carpet frequently and thoroughly. Not all vacuums are created equally. Homes with carpet should also have a high-quality vacuum cleaner with maximum suction and at least 245 AW (air watts). Learn about all the other numbers associated with vacuum cleaners before you shop. The higher these numbers are, the better. 2. Vacuum high-traffic areas daily. Carpets should be vacuumed at least once a week, but high-traffic areas should be vacuumed every day. Daily vacuuming of these areas prevents dirt and debris from getting forced into the carpet fibers. This can cause permanent stains and/or damage to the carpet fibers. 3. Place pads under area rugs. Area rugs can be used in homes with wall-to-wall carpeting. There are two reasons why placing pads between carpet and area rugs is a good idea. One, it will prevent dye transfer and two, it will prevent surface erosion. 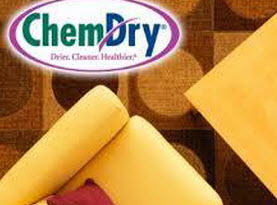 Dye from area rugs can seep onto carpets that don’t have a mat under them and the rough backing on area rugs can erode the pile of carpet, acting like sandpaper. 4. Rearrange furniture periodically. The way carpet wears has a lot to do with furniture placement. Foot and dirt patterns will form around furniture and the legs of furniture can damage the surface of the carpet. To avoid these issues, move your furniture periodically. 5. Use correct carpet stain solutions. There are lots of stain removers to choose from but choose the wrong one and you may just remove the carpet’s stain resistance. This will allow more stains to settle into the fibers. Always test cleaning solutions in an inconspicuous part of the carpet to make sure it won’t affect it negatively. If you so use a solution, use the least amount needed and work from the outside to the center to avoid spreading the stain. Do not rub the carpet or you may damage it and dry the carpet as quickly as possible after cleaning. Try and use the same stain spotters the professionals use for between-cleanings and learn how to properly remove common stains without using harsh chemicals. 6. Replace carpet when its time. There are signs to look for that will let you know when it’s time for new carpet. Worn down pile, bald spots, heavily soiled or delamination, where the carpet starts to separate from the backing are all good reasons to replace your carpet. 7. Get in a cleaning routine. If you have new carpet, it’s the perfect time to set up a cleaning routine. How often should it be done? Most carpets should be cleaned at least once a year. 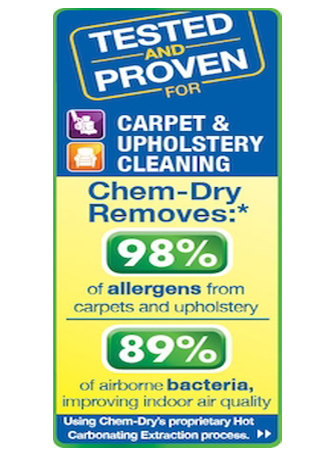 Homes with pets, children or allergy sufferers should have carpets cleaned every six months. 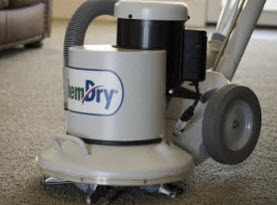 Take care of your carpets and when it’s time to have them cleaned, contact Heart of Texas Chem-Dry, LLC to schedule an appointment. Give us a call today! 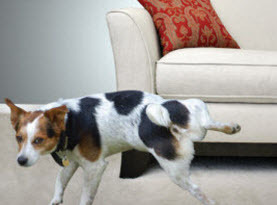 How Often Should You Clean Your Carpet with Pets, High Foot Traffic, Stains & More in Murphy, TX?